New Rapid City Orthopedic and Sports Medicine Center Opens with Ribbon Cutting! 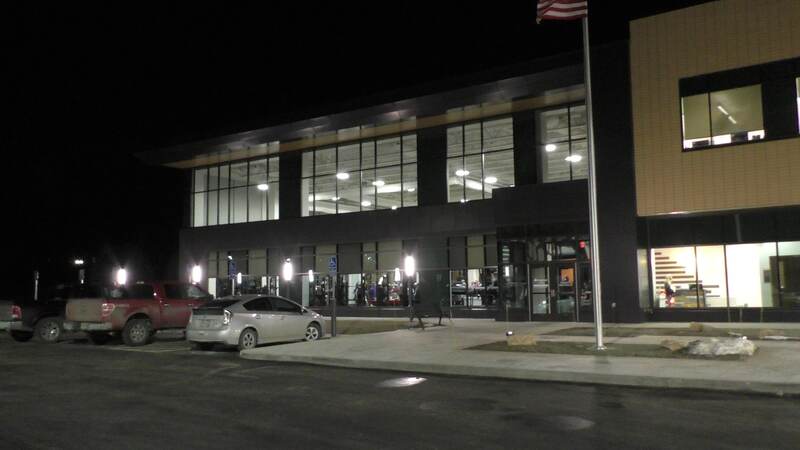 Rapid City Regional Hospital’s new Orthopedic and Sports Medicine Center, located at Buffalo Crossing, officially opened on January 7, 2019, with a ribbon cutting ceremony attended by hundreds of guests at its location off of Catron Boulevard. Mario Rangel, president of Rangel Construction, and project manager Mark Munoz were on hand with their wives at the ceremony, in celebration of a project that saw Rangel Construction provide glass systems, exterior metal paneling, and all interior cabinetry and countertops to the new 55 million dollar facility. Rangel will now continue its long-standing relationship with Rapid City Regional by turning its efforts to the current expansion of the main hospital campus, where its craftsmen will install all of the cabinetry, countertops, and decorative wood paneling for the multi-million dollar new addition.